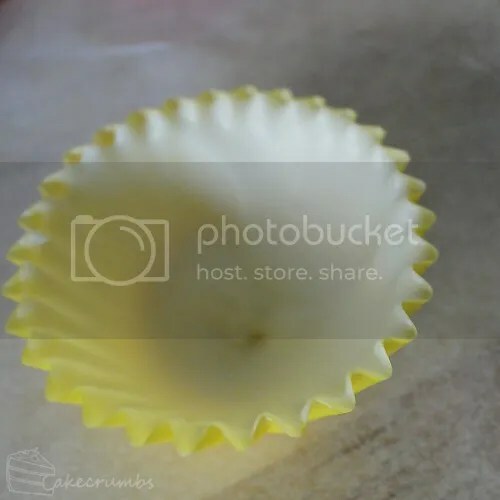 To make the chocolate cups, all you need is some mini patty pans. Alternatively, you can use a chocolate mould set designed for the same purpose. To get the most even finish, it's best to turn them upside down while they dry. 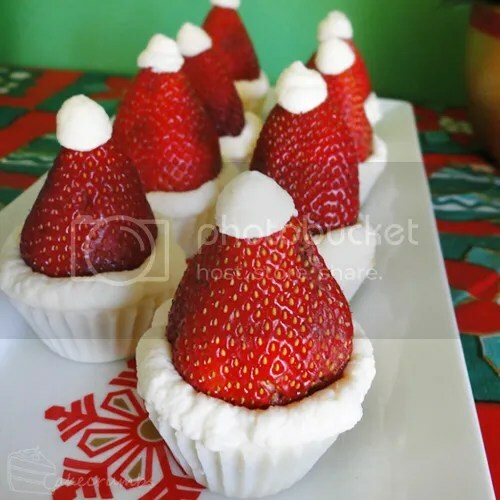 Once the chocolate cups are made, all you have to do is add a strawberry and some cream. In the end you'll have something that looks vaguely like a santa hat. When whipping the cream, I took it to the point right before it begins to look overbeaten to get more of a rough, fluffy look on the hats. When I've made chocolate caramel cups in the past I've always used dark chocolate. I found the bitterness of the chocolate essential for cutting through the sweetness of the caramel. White chocolate, being so much sweeter, makes this a very rich dessert. The presence of fresh fruit adorning it is almost essential for cutting through that sweetness. All up, this recipe made 8 cups. The amount of cups made will depend on the size of the patty pans used. I used some on the larger side of the mini versions, so you may end up getting more out of this recipe. Using a spoon or a brush, coat the patty pans in white chocolate. Invert and allow to set completely. Meantime, cut jersey caramels into quarters. Combine caramels, butter and cream in a small saucepan and stir over medium heat until melted and well combined. Remove from heat and beat until mixture thickens. Allow to cool slightly. 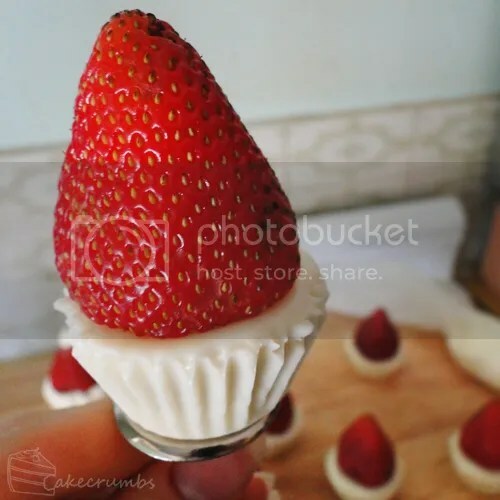 Cover cups with a teaspoon of white chocolate to completely seal the cup. Allow to set completely, then remove the patty pans. 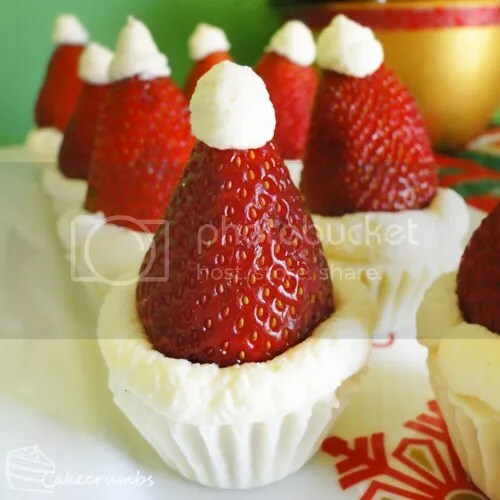 Just before serving, cut the tops off of the strawberries so they sit flush. 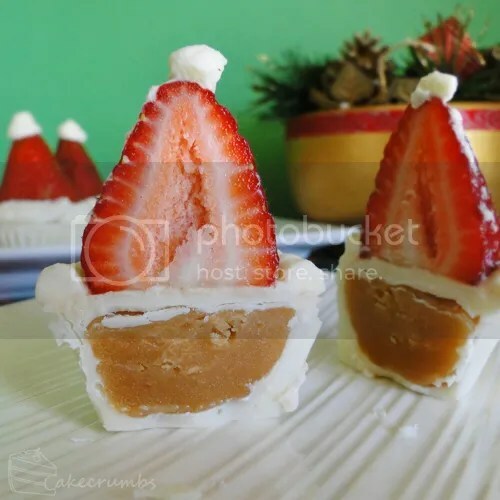 Dollop a tiny bit of cream on each caramel cup, then place a strawberry on top and press down gently to secure. 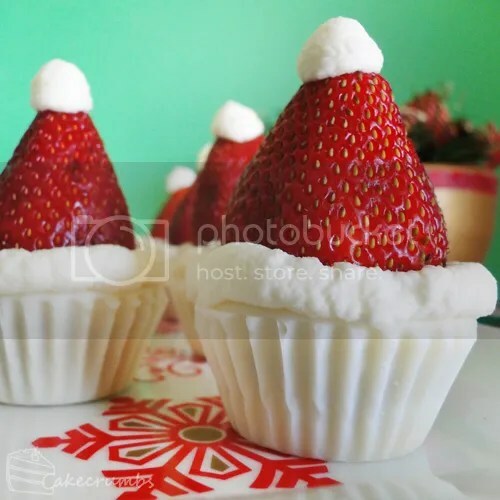 Place whipped cream into a piping bag fitted with a 6mm round nozzle. Pipe borders around the base of the base of the strawberry, and pipe a small dot on top of it. They were very tasty too! Just the right size for a sweet snack. Those are lovely. 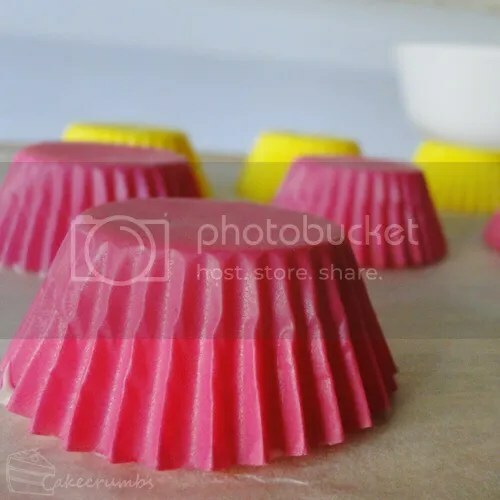 Are patty pans the the cupcake paper cup?